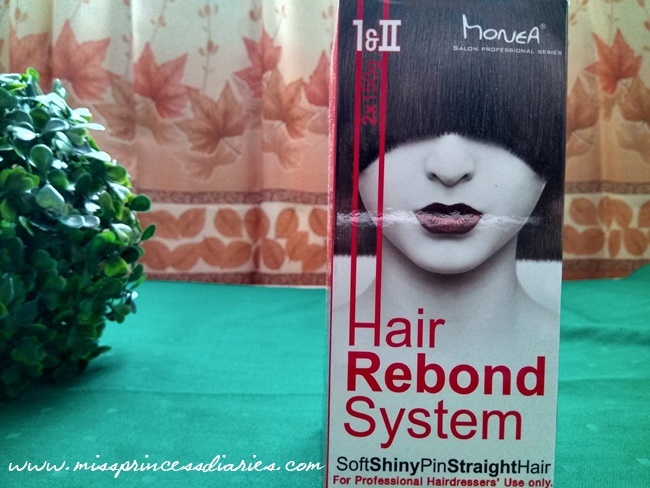 Upon starting my DIY rebonding at home, I carefully read the instructions from the box and from the included slip on how to do the process right. Unfortunately, as of writing, I don't have the original slip that is why I cannot give you the step-by-step process on how I did it. But I swear, I didn't miss a thing on the steps and I also did rinse the product on the time stated on the instructions. I don't want to end up frying my hair with these chemicals, too! As you can see, there are two jars included in the box. The process was applying the #1 jar first which I believe the neutralizer (correct me if I'm wrong). It breaks the bonds on your hair (I think I read something like that). Then, the #2 jar which is supposed to straighten the hair. Luckily, I didn't experience any allergic or sensitivity reactions on these creams which are chemically moderate-strong. 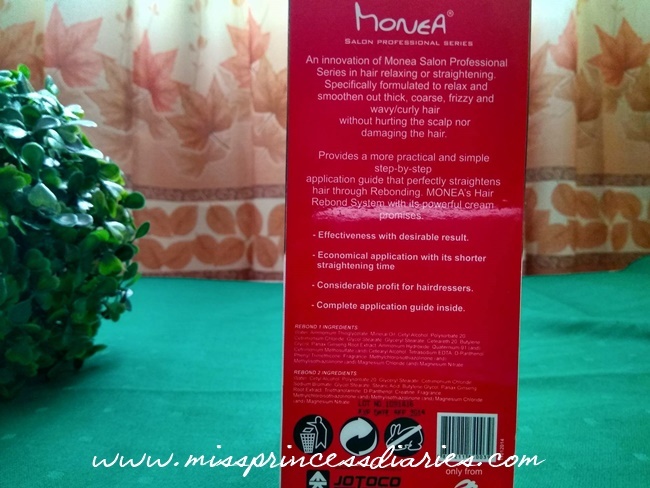 It is really hard to do everything by yourself because you might not distribute the product evenly on your hair. I ask for the help of my mom in the application process. Also, the hair ironing part is very tiring if you want to do it perfectly. 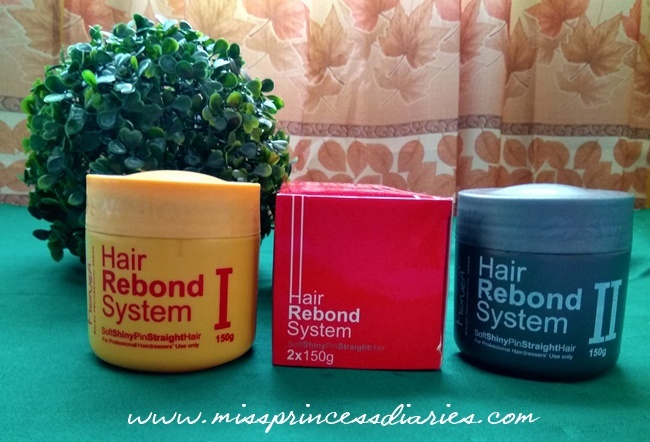 Aside from this product, I also bought a jar for hair treatment because it is recommended to have it after the rebonding process to give TLC for your hair after putting these harsh chemicals. I ended up liking more the inexpensive kertain hair treatment that I bought in partner with this than the Monea itself. 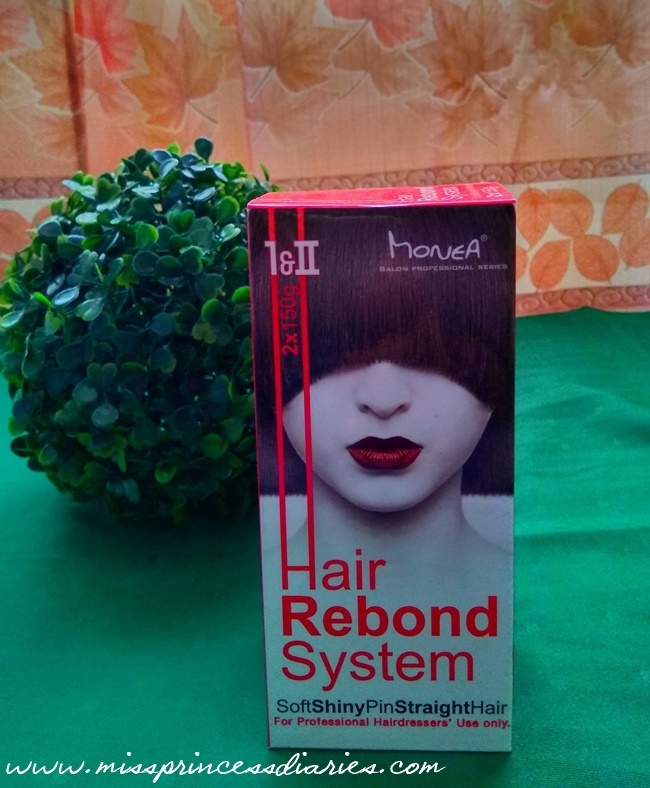 It is my first time to try home rebonding and I must say I don't recommend this. Go to professional hairdressers and have your hair rebonding done by them. I haven't posted a before and after photo of my hair this time because it almost doesn't change its appearance. My hair is still wavy and looking-frizzy. But in fairness, this product doesn't fried my hair or make it worse. It actually made it a little smoother than usual. Overall, I am not gonna buy this one again. It helps that I read reviews first so, I don't really expect much on this like what most of the reviews I've read. By the way, my hair is fine and nothing change much as usual. I wish i've red your blog earlier. I've already bought 2 jars to try for myself. I'm hoping it would work since you know we've got different hair types.